Trust is a cornerstone of our corporate mission. The European Union Data Protection Directive. The European Model Clauses regarding the collection, use, and retention of personal information from European Union member countries and Switzerland. Applicable country and local data protection laws. Nothing in this policy shall apply to the extent that it is incompatible with applicable data protection laws. The definition of personal information varies according to local law, but generally is information that could be used to identify you on an individual basis, either on its own or in combination with other information. Other household information about you and your family, such as gender or product use preferences and/or behaviors. Health information, such as health information related to product usage and medical history. Biometrics collected during volunteer consumer research studies (such as facial expression recognition, heart rate, and skin condition). Contact information for friends you may wish us to contact. Telephone number and recordings when you call our consumer line. When you download our mobile applications if any such available to your mobile device we may also collect information that you provide. We also automatically collect information through our applications . Advertising ID or similar identifier. Information about your device’s operating system. You can opt out of continued information collection by our mobile application by deleting the application from your device. Our mobile applications may collect precise location information from your device, if you consent to the collection of this information. We may use third-party service providers to provide location services using the location data you provide. You may opt out at any time to the continued collection of this information by adjusting the settings on your device. Publicly observed data or activities, such as blogs, videos, internet postings, and user generated content. All of the information we collect about you may be combined to help us improve our communications with you and to develop world-class products and services. We use the information we collect to provide you products, offers and services, to deliver to you advertisements, offers or other content tailored to your interests, and to conduct other Duraell business operations. Send samples, premiums, products and information. Enroll you in contests, programs, or offers that you request. Send you email and/or postal messages with information about Duracell products and other content we think may be of interest to you, including brand and service information from carefully selected business partners. Develop and provide advertising tailored to your interests, including interest-based advertising. Personalize your experience on our websites by presenting products and information tailored to you. Analyse the use of our products, services and advertising. The success of our business depends on your trust, and we do not sell your personal information to marketers outside of Duracell. If we were to collect your information and you agreed to such collection, we would only share your personal information within Duracell and as described in this Policy. We do not share personal information with marketers outside of Duracell, unless you consent to such sharing, or as described within this Policy. If Duracell implements any such co-promotions, Duracell may collect personal and other information for a co-promotion or joint program with a business partner and share your information with that business partner. For these programs, we will make clear at the point of collection that the information will be shared with Duracell and the participating business partner and ask for your consent as required by applicable laws. We may rely on third-party service providers to perform a variety of business operations on our behalf. In so doing, we may need to share your personal information with them. We will then provide our service providers with only the personal information they need to perform the services we request. These services are carried out for the business purposes described in paragraph 4 of this policy. We enter into written contracts with our service providers, and we require that they protect this information and not use it for any other purpose. 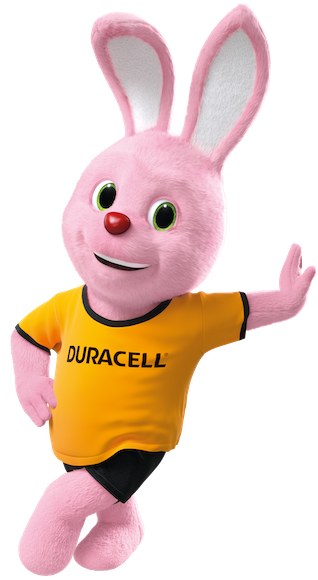 To protect and defend the rights and property of Duracell (including enforcing our Terms and Conditions). We share aggregated and/or anonymous information that does not identify you for Duracell business purposes. For example, we may disclose the number of visitors to Duracell sites or services. We may also share aggregated and/or anonymous information with our business partners for their own business purposes. If the possibility to register on the website exists and if required by applicable laws, we will only send you email marketing messages if you have provided prior consent to receiving these. In such case you would be able to stop receiving promotional email messages from Duracell by following the opt-out instructions provided in any such message you receive. You can stop receiving promotional email messages from Duracell by following the opt-out instructions provided in any such message you receive. You can stop receiving promotional postal mail from Duracell by following the opt-out instructions that may be included within those communications. PLEASE NOTE: We will honour your request to stop receiving promotional email, text and postal messages from Duracell. However, we may continue to send you service-related communications such as emails confirming purchases through our websites. And we may keep information for record-keeping, such as to ensure we fulfill consumer requests not to send particular types of messages. We take steps to keep your personal information accurate. Many Duracell programs provide access to view or update personal information you provided when you registered online. Check where you registered to learn if you can view or update your information there. If information access and update are not available where you registered, click here to select your country and to learn how to access and/or update the personal information you provide to Duracell. Duracell does not charge for this service and responds to reasonable requests in an appropriate timeframe. to object to decisions which are based solely on automated processing. In addition to the above, you may have the right to lodge a complaint with the supervisory authority. If you have any of these rights under applicable law, and if you wish to investigate exercising those rights, please contact us using the details set out below. A cookie is a small file placed on your device when you visit a site that can be understood by the site that issued the cookie. We use the information collected by cookies to remember who you are to log you in and your preferences, to provide to you advertisements, offers or other content tailored to your interests and to assess how our sites are used. Some cookies, so called session cookies, are destroyed after closing your web browser. Other cookies, the so called permanent or tracking cookies, stay with your permission on your computer. Via these cookies, we recognize you at your next visit and this makes it possible to offer you personalised advertisements. You can set your browser to not accept but block cookies. This may lead to a reduction of available functions in our web shop making it impossible to place an order. To learn more, please look at the cookie settings available in your specific web browser(s) and see [About Cookies]. The web pages you view and links you click on Duracell websites and other websites you visit. The Duracell emails you view and links you click in the email. We have designed our interest-based advertising systems to deliver such ads to you based only on data that does not personally identify you. You can limit your receipt of interest-based ads on websites or in mobile applications by different means. In the United States, Canada, Latin America and European Union, you can visit the Ad Choices link here or on Duracell websites in those countries, where you can choose to opt out from receiving interest-based ads on websites. In European Union countries you can visit the [Cookie Notice]links at the bottom of Duracell websites in those countries, where you can choose to opt out from receiving interest-based ads on websites. Duracell will honour that choice. Your choices regarding receipt of interest-based advertising in mobile applications. Some newer mobile device operating systems allow you to limit the use of information to deliver interest-based advertising in mobile applications. You can check the settings on your device for such options in your device’s operating system. We may allow third parties, including business partners and ad networks, to display advertising on sites. Some of these companies may recognize your device through cookies or other technologies each time they send you an online advertisement. This enables them to understand where you, or others who are using your computer, saw their advertisement and to deliver ads that they believe are of interest to you. Duracell is committed to keeping personal information secure. We have implemented technical, administrative and physical procedures designed to protect personal information from loss, misuse or alteration. Duracell may transfer your personal information within Duracell and/or to other third parties, such as our third-party service providers. Your personal information may be transferred to, stored, and processed in a country other than the one in which it was collected. This may include the United States. When we do so, we transfer the information in compliance with applicable data protection laws. However, you should note that privacy laws in other countries may not be equivalent to those in your country of residence. We have implemented procedures and controls to help ensure that personal information is protected no matter what country it is stored in or transferred to. We do not intend to collect personal information online from children under 16 or as defined by local legal requirements, except on sites specifically directed to children. On those sites we follow applicable data protection laws. If you have questions or concerns regarding your privacy, please contact Duracell directly. Click here to select your country and be linked to the correct postal and/ or e-mail address to use. Duracell transfers any personal data in accordance with the Applicable Data protection legislation, such as the European Standard Contractual Clauses.